Do you need extra privacy in your bathroom and looking for an easy way to do it yourself? 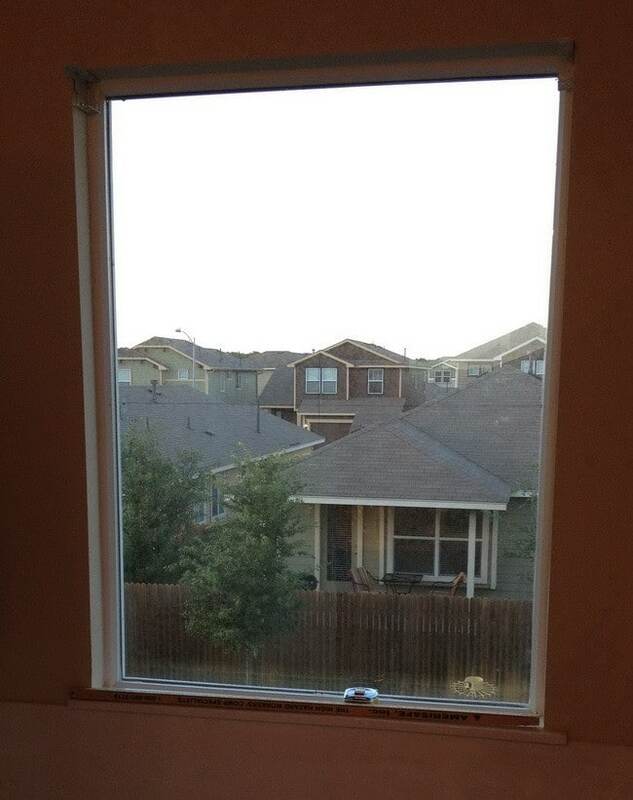 Here we are going to show you a simple way to add privacy to a bathroom window. You don’t need expensive drapes or dust collecting blinds. 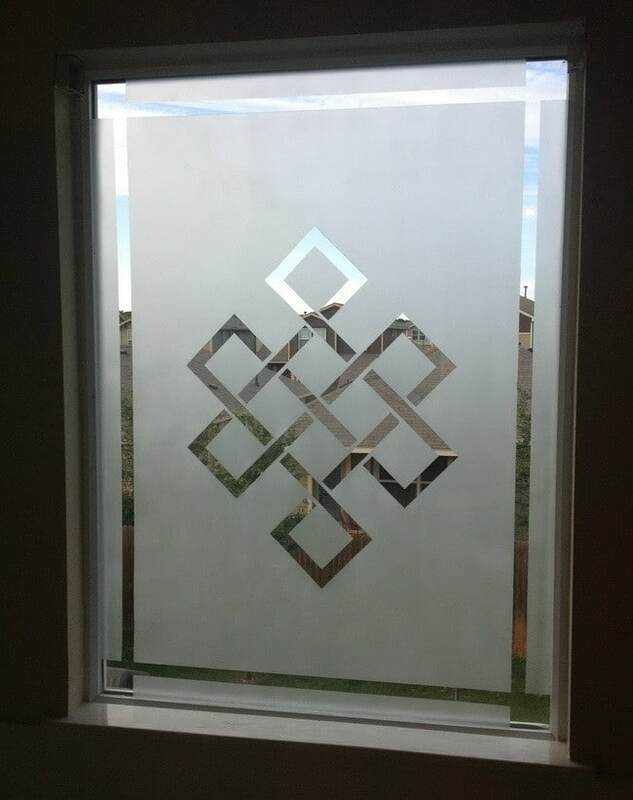 A frosted window is a cheaper alternative to any other type of privacy and will add a nice semi-transparent surface. This frosted window diy will show you everything you will need to get it done and save money. 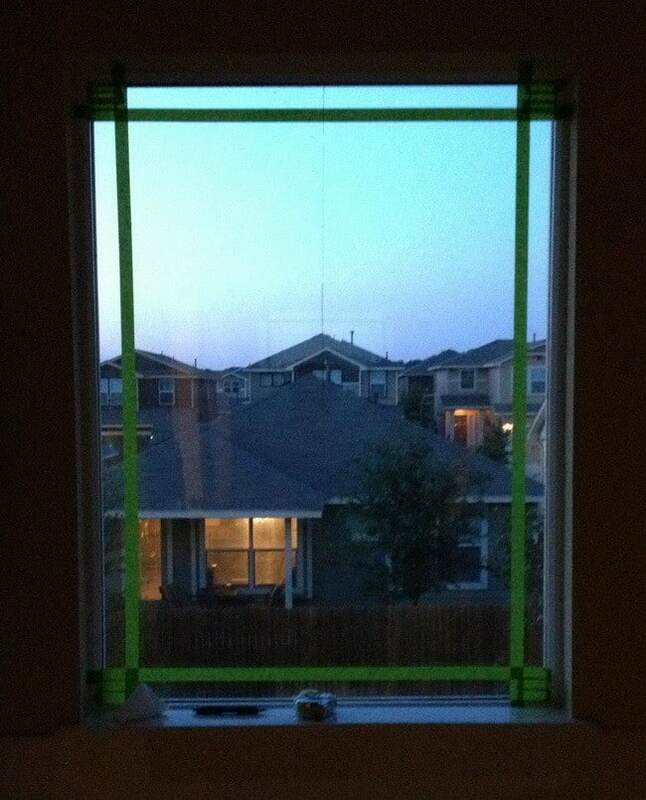 Here is the window freshly cleaned and ready to be taped. 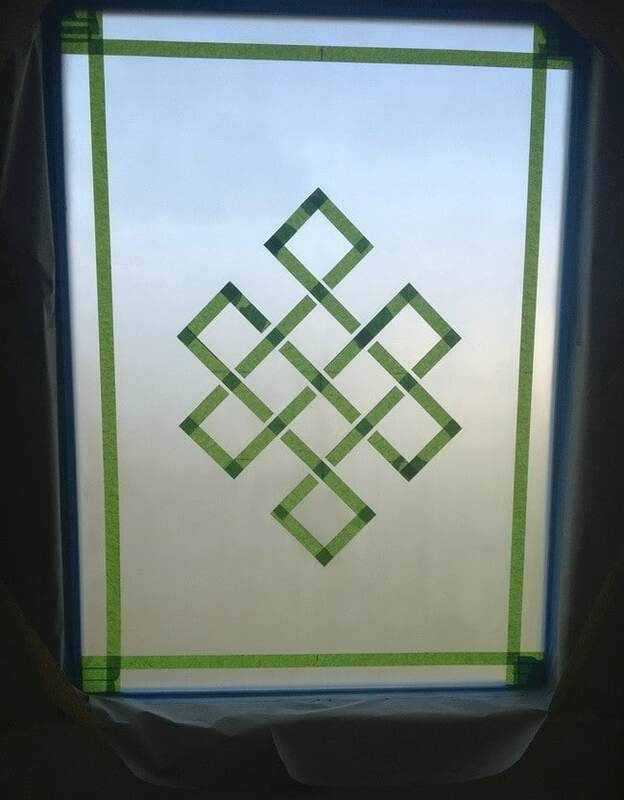 Using the Frog tape we taped up the border for our frosted window design. and then added our design to the center using our frog masking tape. Once all the tape was in place we sprayed 3 coats of the frost spray on our window. Once the frost spray was semi dry we removed the tape and our project was finished. Remember to always follow the directions on the can for best results. This is really cool. 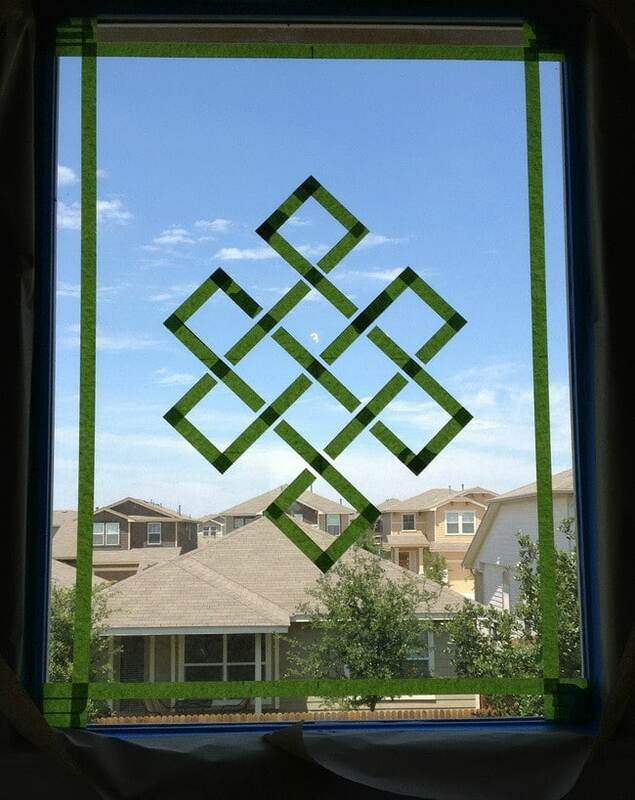 We’re thinking of doing this on our kitchen window that faces the sidewalk (we’ve had some oddballs come up and try to peak through the window). Do you know if the window can still be wiped/cleaned after this has been applied, or will cleaner take it off? This is amazing. I love it. How ever did you come up with the idea of the pattern? Do you have instructions on hos to make it (the pattern) or other kinds of them? I want to use it for the bathroom door. Simply find an idea you like online. Print the pattern out on paper. Cut out the shape with scissors. Attach it to the window. Apply tape to secure it to the window and cut edges with a pen knife. Very simple!